The security issue of currency has attracted awareness from the public. De-spite the development of applying various anti-counterfeit methods on currency notes, cheaters are able to produce illegal copies and circulate them in market without being detected. 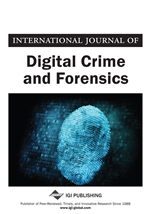 By reviewing related work in currency security, the focus of this paper is on conducting a comparative study of feature extraction and classification algorithms of currency notes authentication. We extract various computational features from the dataset consisting of US dollar (USD), Chinese Yuan (CNY) and New Zealand Dollar (NZD) and apply the classification algorithms to currency identification. Our contributions are to find and implement various algorithms from the existing literatures and choose the best approaches for use. Currency has become a medium for trading various goods that replaces the ancient barter system. Currency is composed of three important components, namely, coins, banknotes and electronic data. The stability of currency represents a nation’s overall strength in economy. Therefore, it appears to be significant to protect security of currency’s circulations. However, there exists currency counterfeit that influences the normal stability of currency. Cheaters are able to produce reprographic equipment to copy, scan and distribute fake banknotes that severely affects security of currency. The currency problem requires national reserve banks raise effective technical solutions to cope with them. Even if private banks have their own approaches of handling the threats from counterfeit currency, national reserve banks should officially have the authorization to centralize currency issue and policy establishment. A counterfeiter’s primary objective is to reproduce passable reproductions and mastering security features. Security features are classified into three categories (Clarkson et al., 2009, Ishigaki & Higuchi, 2008; Illingworth & Kittler, 1988; Zhang & Rockettt, 2006; Zhang et al., 2007), (a) immediately detectable through human senses, (b) hidden from normal view of human senses, detectable using basic tools, such as a magnifying glasses or Ultra Violet light, (c) intrinsic characteristics resulting from the manufacturing process and the interaction of raw materials. As physical banknotes have obvious weaknesses, all paper-like materials are prone to wear and tear, therefore they are possibly exploited by counterfeiters for producing forged banknotes which are hardly recognized by currency examination machines and tools. Therefore, banks and cashers are using techniques such as digital image processing, machine vision and pattern recognition that effectively distinguish fake banknotes from the authentic ones (Chambers et al., 2014; Yan & Chambers, 2013; Chambers, 2013). Software is being trained to recognize specific banknotes using learned knowledge based on computable features, a banknote which does not meet the specified condition is deemed to be either counterfeit or worn-out which affects normal transactions, it will be further examined and may be removed from the circulation. Similarly, if a banknote has such an engraving and printing problem in producing time which has been found out by using the same machine vision technology, it will be disposed before it entered the circulation after manual examinations. Traditional currency recognition software is used to check print quality of new notes (Chambers et al., 2014; Yan & Chambers, 2013; Chambers, 2013). It is considered to be significant of utilizing print banknotes, quality of notes remains to be authenticated by manual inspections. Cheaters are able to reproduce the forged notes with certain security features by simulating the genuine ones. However, it is impossible for them to distribute the notes with all the security features (Gaubatz et al., 2009; Grijalva et al., 2010; Hasanuzzaman et al., 2012; Jin et al., 2008; Kersten, 2010; Nishimura, 2009; Roy et al., 2010). Albeit there is a new kind of money which is electronic version of currency, it contains most of the basic security components which are inherited from physical banknotes. Nevertheless, as differences exist in transactions of using physical banknotes and electronic currency, the security and governance should be taken into consideration. In this paper, we will analyze features of currency by using feature extraction and classification techniques in the banknotes of USD (USA Dollar), NZD (New Zealand Dollar) and CNY (Chinese Yuan).